Nyári vakáció a képzelet földjén. Számtalan izgalmas hely van a világon, de még több a képzelet világában. Narnia – ahol csak a megfelelő ruhásszekrénybe kell bemászni. És bármi megtörténhet. Talendia – ahová egy régi könyvön át vezet az út. Egy izgalmas sárkányvadászat a The Last Dragonslayer-rel. A régi görög istenek világa az ókori pátosz nélkül: mit kezd egy csapat kamasz az olümposzi istenek erejével, ha ők az örököseik? Csatlakozz Percy Jackson-hoz! Talendia - egy királyság, amely varázslók, boszorkányok, kentaurok, törpök és más fantasztikus lények hazája.7-13 év közötti, angolul tanuló gyerekek számára. Nagy betűkkel szedett, több mint húsz illusztrációt tartalmazó, rendkívül kalandos regény.The first fantasy novel in the Talendia series. The story began in Merrymead. a fictional town in Cornwall, where a young boy, Samuel Lucas, vanished after a stormy night chasing a cat in his uncle's garden and discovered a staircase in thetrunk of an old mulberry tree. The only clue to hisdisappearance was his book, Tales from Talendia, that he had received from his uncle the same day. Thirty years later, a young and troubled girl called Frida, who lives in London with her single mother meets a mysterious bookseller who sells an old book with the same title to her. Frida quickly notices that the book is dedicated to Samuel Lucas. That same night, Frida and her mother have strange visitors who can turn into birds and are seeking Frida out. She manages to escape from them through a small door under her bed that leads her to Talendia, a kingdom inhabited by wizards, witches,centaurs, dwarves and other fantastic creatures. Frida quickly makes friends, but realises that Talendia must have a dangerous enemy. She comes to believe that Samuel also somehow got to this magical world. She is determined to find him before it is too late for all of them. A.E.Colmer was born and grew up in Hungary where she later studied law and political science at the University of Debrecen by which time she had comleted a collection of poems, a novel, two dramas and various articles from magazines. After qualifyingas a layer, she lived in Budapest for a few years. She moved to London in 2010 and has been living here ever since, now with her husband, Thomas, and their cats. * A beautiful paperback edition of The Lion, the Witch and the Wardrobe, book two in the classic fantasy series, The Chronicles of Narnia. This edition is complete with cover and interior art by the original illustrator, Pauline Baynes. * Four adventurous siblings-Peter, Susan, Edmund, and Lucy Pevensie- step through a wardrobe door and into the land of Narnia, a land frozen in eternal winter and enslaved by the power of the White Witch. But when almost all hope is lost, the return ofthe Great Lion, Aslan, signals a great change . . . and a great sacrifice. 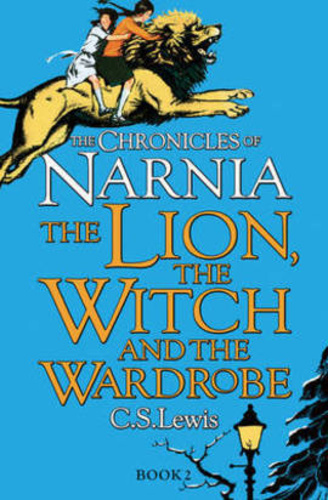 * The Lion, the Witch and the Wardrobe is the second book in C. S. Lewis's classic fantasy series, which has been drawing readers of all agesinto a magical land with unforgettable characters for over sixty years. This is a stand-alone read, but if you would like to explore more of the Narnian realm, pick up The Horse and His Boy, the third book in The Chronicles of Narnia. Who could tell the true stories of the gods and goddesses of Olympus better than modern-day demigod Percy Jackson?In this action-packed tour of Greek mythology, Percy gives his hilarious personal views on the feuds, fights and love affairs of the Olympians.Want to know how Zeus came to be top god? How many times Kronos ate one of his own kids? How Athena literally burst out of another god's head?